Mermaid Theatre of Nova Scotia, the company that brought Ovations Offstage favorites Brown Bear, Brown Bear and Guess How Much I Love You, presents a magical new production, The Rainbow Fish. 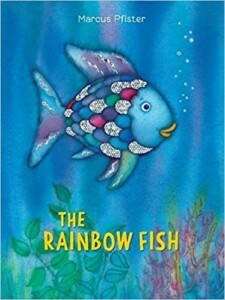 The performance includes an original stage adaptation of Marcus Pfister’s colorful story of friendship and self-discovery, as well as two of the author’s companion tales, Rainbow Fish Discovers the Deep Sea and Opposites. This crowd-pleasing production features innovative puppetry, striking scenic effects and evocative original music to provide very young audiences with an effortless introduction to the performing arts, the ocean world and the excitement of reading.